At my library, we're lucky enough to have a bunch of year-round teen volunteers who help get things done in the branch. They pull lists of books for displays and programs, withdraw materials, help with craft preparation, and complete a myriad other tasks as they come up--and often tasks do just seem to spring out of nowhere. In the summer, though, it's different. For the two months my library district offers its summer reading programs (SRPs), the number of teen volunteers at my library jumps from a dozen to over thirty. And for the duration of the programs, teen volunteers are focused almost entirely on the summer reading station at the branch. My library district simultaneously offers three SRPs for children (all on the same theme, but with slight modifications for age and reading ability), a program for teens, and a program for adults, all of which make for a potentially confusing summer. Thus the necessity of what every volunteer really needs to be effective: training. I hosted our summer reading volunteer training last week, and nearly all of the thirty volunteers attended (non-attendees are trained one-on-one when their schedules allow). I had pizza and drinks handy--they are teens, after all!--and after a bit of socializing, we got down to business. I spent a good twenty minutes going over the children's and teen SRPs with my volunteers; these are the programs they'll be promoting and explaining during all of their summer volunteer shifts. I made sure to have as many visuals as possible. Everyone got a cheat sheet of the programs and how they work, and a number of the volunteers took notes as I talked. I passed around the various book logs for the programs, and I showed the prizes that participants will earn for reading over the summer. I will be the first person to admit that explaining four SRPs can be really, really boring. With a bit of humor, space for questions, and flinging of prize glow-in-the-dark stars, though, we made it through with minimal fuss. They were even enthusiastic through the process of individually selecting their volunteer shifts, which took a while. What did the teen volunteers absolutely love about the training, though? Role playing. I gave them potential SRP scenarios: a frazzled mom approaches the summer reading station and wants to sign up her four kids; a teenager hovers near the table while trying to appear disinterested; a young child wants to sign up for the program and boasts that he'll finish by tomorrow and start over again to get tons of prizes; an older sibling wants to know if a pre-reader younger sibling can participate. Throughout all of these scenarios, my teens became more and more confident with the program information. Success, even if just for that first evening! Despite the volunteers' training and enthusiasm, however, I do fully expect to need to refresh my volunteers on the programs once they start their shifts next week. That won't be a problem, though; I'll likely need to refresh some library staff, too, what with all the different SRPs. That initial investment of time will be worth it, though: throughout the entire summer, our army of summer reading volunteers will take some of the SRP rush away from the reference desk, get kids and peers enthused about the programs and (most importantly!) reading, and develop a real sense of pride and in contributing to the library. I already know that, with nearly 60 summer reading volunteer hours each week, they will be making a HUGE difference in how well my library is able to operate during the busy summer months. A major goal, though, is for the volunteers themselves to feel ownership in their library. I'll check back in with the progress my summer reading volunteers make throughout the summer, as well as some of the areas for improvement next year. Sound off in the comments if you have tips, success stories, or (I hope not!) horror stories of using volunteers in your summer reading programs. I've been working my way through the twelve Mark Twain Readers Award nominees for 2012-2013--I want to be able to book talk these titles to upper elementary kids once summer reading starts on June 4. As I make progress through my stack of novels, I'll post some synopses of the books as well as notes about what type of readers might enjoy them. Because of Mr. Terupt by Rob Buyea is everything that is wonderful about a school story. Mr. Terupt is the new fifth grade teacher, and the story is told from the varying perspectives and voices of several members of his class. There's Peter, the trouble-maker; Lexie, the mean girl; Jessica, the new girl; Luke, the academically-driven young boy; and a handful of other fifth graders with real voices, interesting backstories, and genuine fifth-grader problems. The story progresses through the months of the school year, beginning with everyone growing comfortable with Mr. Terupt's unique teaching style and leading up to an incident that shakes the students and shapes the rest of their fifth grade experience. 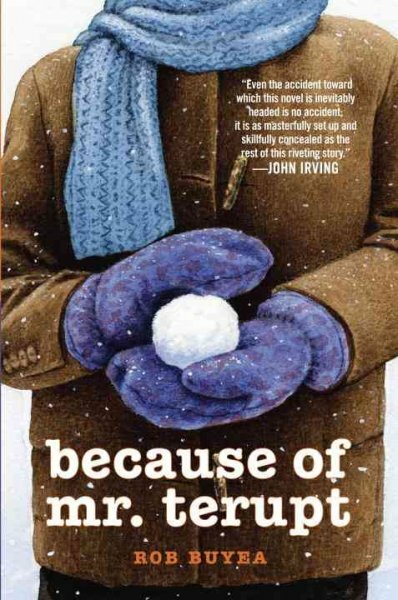 So many young readers can identify with this book--there really is a character for every personality--and the frank yet tender portrayal of the difficulties in growing up makes it a stellar novel. I'll be recommending Because of Mr. Terupt to readers looking for realistic stories as well as those looking to connect with a book character. 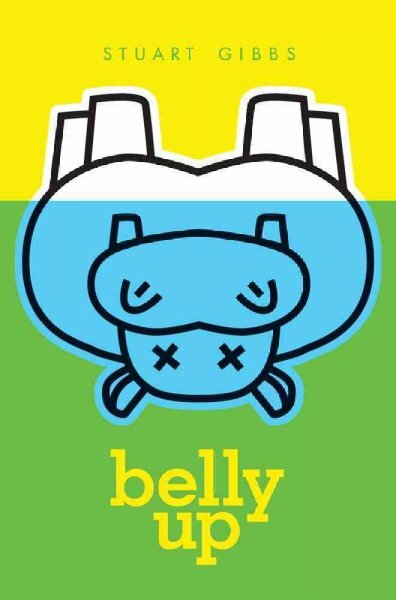 Belly Up by Stuart Gibbs has a remarkably unique premise: when push comes to shove, it's a mystery about a murder--of a hippo. Teddy Fitzroy lives at FunJungle, the world's largest and most impressive zoo, where his parents are an animal photographer and a highly respected gorilla researcher. FunJungle has only been open for a few weeks, and it would appear mayhem has already struck: Henry the Hippo, the park's not-so-friendly mascot, has been found dead. After a rather humorously-described autopsy, the head vet determines Henry has been murdered. Luckily Teddy was spying on the autopsy, because FunJungle appears to want to cover up the murder. Teddy takes it upon himself to solve the mystery, but not without some zoo-specific dangers to his own life along the way. Teddy is a great narrator, and it is really enjoyable to tag along throughout his animal investigations. There is also plenty of gross-out humor in the novel, perfect for young male readers, that keeps the book light-hearted. 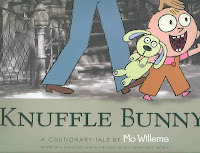 I'll be recommending Belly Up to reluctant readers, especially boys, as well as readers with interests in animals. I'm the guest contributor on the ALSC Blog today! Head over to their site for my post about school-age science programming. I'll be back this week with more book reviews and programming posts. Until then, everyone enjoy the holiday weekend! I've gone back and forth on the themes-in-story-time debate this spring. I've done a handful of story times with themes, but I've also done a few programs using just new books or my favorites. All of the programs went over well, which indicates to me that the issue of themed story times is more a librarian's preference than a best-practices discussion. Regardless of what your preferences are in terms of using themes in your story times, however, I think we can all agree on one thing: kids love stories about animals. I put together the following animal-themed story time for an evening program that draws a younger (~2) crowd and a mom's group with mostly 2-year-olds. It went over well, what with the variety of interactive elements in the books and the enjoyment my audiences got from sharing animal noises throughout. I'll be adapting this animal story time for the summer, adding in a few books for older listeners and trimming out the craft component as I take this program to outreach locations. What are your favorite animal-themed books, songs, and fingerplays? Mouse, Cow, Pig, and Duck are playing a friendly game of toss-the-ball when their ball rolls into the doghouse. Oh no! Mouse makes a big deal of who he sends into the doghouse after the ball, emphasizing each of his friends' brave qualities as they timidly head into the doghouse. One by one they enter, and to Mouse's alarm they do not come out! When Dog steps outside to let Mouse know he's having Duck for dinner, Mouse panics. But, in true Jan Thomas fashion, it could all just be a funny misunderstanding... Kids of all ages enjoy getting in on the joke in this book, and they are captivated by the fact that Thomas's narrative illustrations begin immediately on the inside cover. This great story with simple, repetitive text and guesses at animal recognition on the page turns has proven to be a big hit with all sizes of audiences. 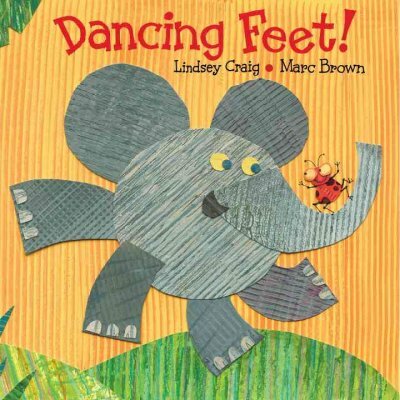 With the smaller groups, we get up and dance the different beats of the animals (the ladybug dances a tippity beat, the elephant a stompity one, etc. ), and we end up in a sort of crazy animal dancing parade. With larger groups, we experiment with using our hands to make the different dancing noises--fingertips for the ladybug, flat palms on thighs for the elephant, and so on. The interactive options for this book are many, and the simple text itself is rhythmic and wonderful. We all know how important rhythm is in developing pre-reading skills! While Raffi is singing this classic, silly children's song from our boombox, our group takes turns having Horton, our stuffed elephant, sit on everyone's heads. I usually start off with Horton on my head before setting him on a child's, and then within a few seconds--possibly with some parental encouragement--everyone gets the hang of the activity. Mom! There's an elephant on your head! Now it's on my head! How silly! I've found the song is generally long enough to get Horton on the head of every attendee--you wouldn't want any kids to miss out on a one-of-a-kind elephant hat, now would you? I must say, I love this relatively new book. 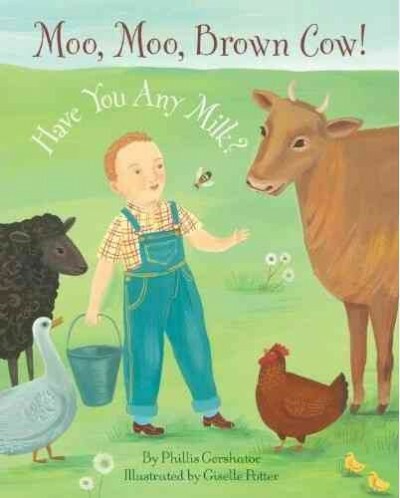 Using the format of "Baa, baa, black sheep," the book takes readers through a colorful, calming exploration of many farm animals as they prepare for bedtime. As we meet each animal, we get a plethora of child-friendly information about it: its name, what sound it makes, what color it is, what it produces, and what we make from that product. Example: "Baa, baa, black sheep, have you any wool? / 'Yes, sir, yes, sir, three bags full.' / Does wool make a blanket for my bed? / 'Yes, sir, yes, sir,' the black sheep said." We meet a grey goose with down feathers for our pillows, a brown cow with milk for a bedtime drink, and other animals, too. 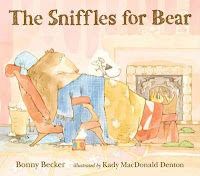 It might seem like there's a lot going on in this story, what with the animal recognition, animal noises, colors, and more, but the repetitive rhyming text and clear, lovely illustrations make the whole book very accessible to even young children. I highly recommend it. Anywhere I go, whatever story time group I'm addressing, everyone is familiar with "Five Little Ducks." Because it's a familiar fingerplay and song, everyone is always excited to sing and mime along with me as the little ducks go wandering over the hill and far away. Kids get really into the counting element of the song, too, and they work those fine motor skills to hold up the proper number of fingers each round. Librarian gold, this fingerplay is. I use duck stick puppets to accompany the "Five Little Ducks" fingerplay, so why not encourage kids to do the same at home with their very own puppets? I try to keep this craft as simple as possible, using just a handful of supplies: ducks die-cut on yellow cardstock, fat popsicle sticks, glue dots for putting the puppets together, and crayons for decorating the puppets. And never fear, those of you who like a craft to take at least ten minutes--while assembly is quick, decorating five little ducks can take a while! Theodore Boone: Kid Lawyer is the first book in a legal thriller series for young readers by John Grisham. You know all of those slightly argumentative (in a good way!) older elementary school kids who seem always ready to pick an arbitrary fight over books, movies, anything? Consider getting those kids started on this series. Theo Boone is the only child of two lawyers, and the way he tells it, he had no choice but to become steeped in law and justice as well. When a murder trial is set to take place in his town, Theo uses his familiarity with the judges and courts to get his government class seats at the opening arguments of the trial. Theo's desire to follow every detail of the trial becomes somewhat complicated, though, when a friend confides he might know something about the case--something big. Suddenly Theo is torn between keeping his friend's confidence and seeing justice prevail. Theodore Boone: Kid Lawyer could have easily spiraled into a boring, dumbed-down legal story, but I'm glad to say that is decidedly not the case. The thriller is exciting and captivating enough to keep almost any reader's attention, yet it is not so sensational as to turn away fans of realistic fiction or sensitive readers. I love the narration style, too; everything is told from Theo's perspective, and that means we're privy to all Theo's snarky thoughts while he presents an outward reserved politeness. What kid can't relate to having to agree politely with a grown-up when he'd rather tell said grown-up off? Theo Boone may be acting like a young lawyer, but he is very relatable. 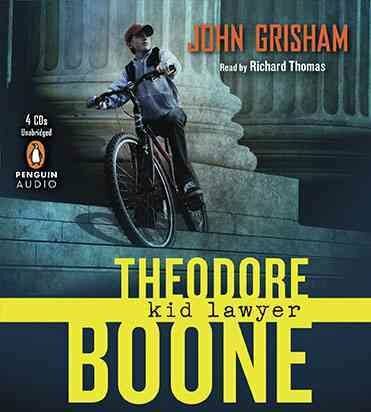 I listened to the audiobook version of Theodore Boone: Kid Lawyer, which is read superbly by Richard Thomas. The pacing is perfect to build suspense and develop Theo's character, and Thomas does enough voice variation to keep the plot moving along quickly without generating confusion. The five-hour audiobook makes for great listening on an otherwise uneventful car ride, perfect for summer travels. Theodore Boone: Kid Lawyer is nominated for Missouri's Mark Twain Readers Award for the 2012-2013 school year. 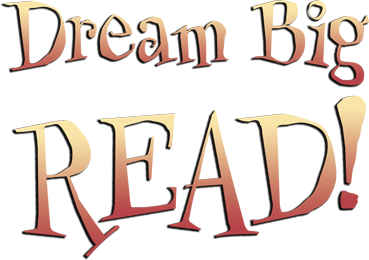 The award recognizes books for readers in grades 4 through 6. I'm always looking for ways to put a new spin on story time. I'm interested in adding in music, science activities, play... all sorts of things to promote literacy, a love of books, and a love of the library. I've read and heard about stuffed animal sleepovers at the library several times over the past year. Boy am I glad I gave this program a try! Bedtime at the library sleepover! The concept is straightforward: kids drop off stuffed animals at the library in the evening, and those stuffed animals spend the night at the library doing all sorts of fun things. The stuffed animals are then waiting for their respective owners at a story time the next morning, where the night's activities are recounted. I was a little nervous about marketing this program--would the description be enough to get the two-part event across? I ended up e-mailing registered participants the day before the drop-off to reiterate how the program would work, and happily there was no confusion as to the logistics of the program. I was also somewhat surprised by the number of families who registered for and participated in this first-time program: 18 kids brought stuffed animals to the library and picked them up the next day, a high number for a preschool story time outside of our regular weekly morning program. The most satisfying aspect of putting on this stuffed animal sleepover story time was the excited feedback of the kids who participated and their caregivers. When the kids dropped off their stuffed animals, they were very adult about the transaction, responsibly informing me of any special needs on the part of their stuffed friends. When they picked up their stuffed animals the next day and saw what they'd been up to all night at the library, they had some tremendous looks of magic in their eyes: Look what wonderful things my friend got to do at the library! Caregivers, too, said they were impressed with the program--a few families even came from a few towns over to participate. Families were encouraged to bring their preschoolers to drop off their stuffed animal friends between 5 and 8:30 in the evening, which coincided with my shift of the reference desk. I had prepared blank nametags before the drop-off, and as each child introduced me to his or her friend, I made a nametag for the stuffed animal. I also made a point of asking if the stuffed friend had anything special he or she needed before bedtime. A lot of kids said to make sure friends had a drink of water, heard a bedtime story, and got tucked in. I made notes of these details, and every child walked away from the drop-off feeling confident that all of the stuffed animals would be in good hands. This bit of the program is, admittedly, a bit frantic if you're keen on finishing it before the library closes. I rushed around the library taking photos of all the sleepover activities the stuffed animals participated in: book cart races, playing at the train table, taking turns playing computer games, playing hide and seek in the stacks... I made sure to get photos of every stuffed animal at least twice, and I made sure the pictures included the activities the kids had mentioned as important to bedtime rituals. I then put all of the photos I had taken of the sleepover into a slideshow with some captions, which would serve to recap the sleepover portion of event at the story time. I had set all of the stuffed animals out in a circle in our story time space before kids started arriving. As soon as I opened the program room door, kids rushed to see their stuffed animal friends and to "chat" about what they had been up to. Those greetings were priceless. Opening Song: "Alive, Alert, Awake, Enthusiastic"
I'm alive, alert, awake, enthusiastic. This song is a popular morning song at the summer camp where I worked, and it is a great morning alternative to "Head, Shoulders, Knees, and Toes." It gets the blood pumping, and it introduces some fun new vocabulary, too. Add in the options to speed up or slow down and you've got a giggle-inducing opening number. I had the slideshow of sleepover photos cued up, and I took several minutes narrating the stuffed animals' fun night at the library. The best reactions from the audience came from the images of stuffed friends having a bear-led story time and, understandably, being cutely tucked into their sleeping spots. 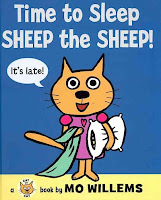 Willems has been doing a series of short picture books featuring what I call Animals the Animals--in this story's case, the main character is Sheep the Sheep. 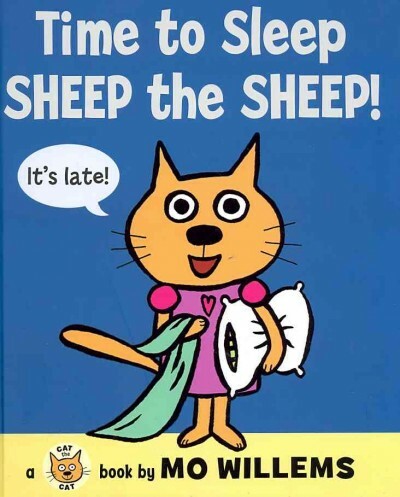 In Time to Sleep, Sheep the Sheep goes from friend to friend getting everyone ready for bed. They have a drink, they brush their teeth, they go potty (kids love the inclusion of this before-bed ritual, and the accompanying illustration is hilarious), and then finally they settle down to sleep. Everyone except Owl the Owl, that is--in true goofy Willems fashion, Owl the Owl remains wide-eyed and awake and asks his sleeping pals if anyone wants to play checkers. We had a parade to end the story portion of our story time and to move us over to the snack and craft tables. Kids grabbed their stuffed animals and paraded around the room, making a big show of lifting up their stuffed friends and dancing with them. Those animals had been in the library all night. Of course they were hungry! I don't usually do any sort of food in my preschool story times, but this special event merited a sleepover breakfast-style snack of doughnuts and juice boxes. I cleared those snacks with the parents during the drop-off the night before, and no one needed a special food accommodation. Before the library opened the morning of the story time, I printed off one of the sleepover photos featuring each of the stuffed animals onto a quarter sheet of cardstock. Using more cardstock and some yarn, I then made a little blank scrapbook, photo on the cover, of each stuffed animal's sleepover experience. Our craft was a great opportunity for writing (sometimes a hard ECRR skill to incorporate! ), as the craft tables had crayons and stickers available for writing in the scrapbooks. I walked from child to child and encouraged them to write about their stuffed friends' favorite activities from the sleepover. The resulting scrapbooks were very creative, and the kids' descriptions of the writing in the books was impressively detailed. What a wonderful early literacy activity! Also, this craft allowed every child to leave the program with a memento of their stuffed animal's first sleepover. What a success! Make Magic! Do Good! 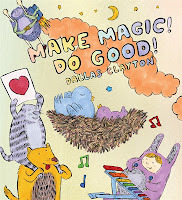 is a book of poetry written and illustrated by Dallas Clayton. The short poems in the book run the gamut of subjects, from friendship and musicians to the "happy birthday" song and a moose. The prepub copy I read called Clayton's work similar to that of Dr. Seuss and Shel Silverstein; when you're likened to two greats in cheeky children's poetry, I expect some silly, witty, and well-structured poems. While Clayton's poems work, they are not as tightly edited as those of the best children's poets. There is a fair amount of slant rhyme, some awkward pacing, and lines with too many or too few syllables--but then, none of these admittedly picky issues detracts that much from the overall imagery of the poetry. The subjects of the poems are definitely goofy and sometimes even irreverent, always aspects that appeal to young readers, although the final lines don't always have as much punch as they could. That said, it's not like falling somewhere short of Dr. Seuss and Shel Silverstein is necessarily a bad thing. Those two operated at the tip-top of the children's poetry universe, and it takes a lot to reach their level. The variety and tone of poems in Make Magic! Do Good!, as well as the really cutesy and fun illustrations throughout, will likely make this book of poetry interesting to kids who enjoy silly poems. I'll be including it in poetry displays for sure. Make Magic! Do Good! 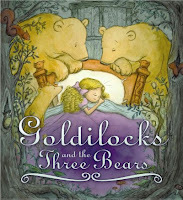 will be released by Candlewick Press on November 13, 2012. I think I've mentioned that I make it a point to read as many new picture books that come into my library as I can. 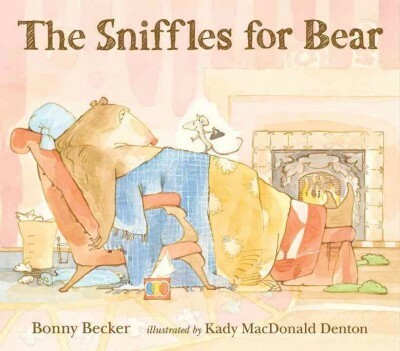 I make note of the titles that I think would make great read-aloud story time additions, and every so often I amass enough new hits to fill a story time. I enjoy knowing the kiddos will hear great stories even if there is no unifying theme to the program. This month at preschool outreach: a smorgasbord of bears, robots, and storytelling. 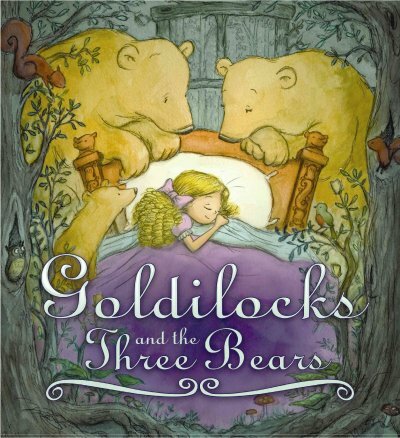 The folktale of Goldilocks and the Three Bears is a classic for a reason. It's got great repetitive and cumulative elements, fun anthropomorphic characters, and a young protagonist who gets herself into a bit of mischief--all features of stories that young kids love! I start off asking how many kids have heard this story before--at least two-thirds, usually--before briefly explaining what it means to be a classic. Despite knowing the story, kids sit rapt as I read this. They love hearing something familiar while engaging with new, beautiful pictures. This story also provides a segue for talking about the moral of a tale. I love that at least one kid always mentioned stranger danger at this point. 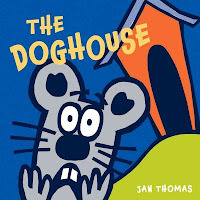 This story is a funny, slightly longer tale about Bear, who is convinced his current illness will be the death of him, and Mouse, who comes to Bear's house to help him get well. Bear is a comically big malingerer, and Mouse cutely provokes him on multiple occasions. What shows through, though, is the strong friendship between the two creatures. Sure, Bear may over exaggerate his cold, but Mouse seems more than happy to put up with some drama to help his friend. The sentiment is returned when Mouse finds he has come down with the sniffles, too. Action Chant: "Going on a Bear Hunt"
This chant is a staple of many a day camp and preschool, and for good reason. First and foremost, it's fun--kids love doing the actions and imagining the thrills of the bear hunt. The appeal of this chant is greater, though, when one considers that it reinforces concepts of opposites, direction, chronology, spacial reasoning... Plus, nothing can go horribly wrong with a wiggly, slightly noisy story time interlude. Another lovely, simple friendship story. Boy and Bot, a robot, meet one day and become friends. While playing together, Bot's power switch gets flipped to "off." Boy doesn't know about Bot's power, so he assumes Bot has taken ill. Like a good friend, he takes Bot home to nurse him back to health. During the night, however, Bot is turned back on and mistakes Boy's sleep for malfunction. 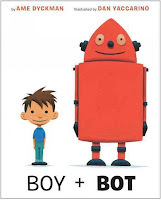 Bot then takes Boy to his inventor's house, where he tries to replace his battery (kids love this bit of goofiness--boys don't need batteries!). The illustrations in this shorter, straightforward picture book fit perfectly with its sincerity and minimalism. I'm going to be using this story again, and not just because it allows me an excuse to use my robot voice. Goose is a great storyteller, and he and his friends act out his stories for play. 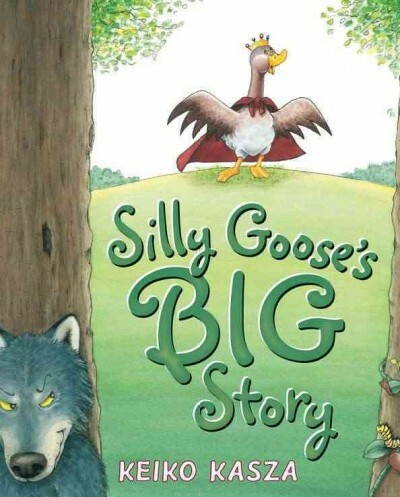 Goose's friends become frustrated, however, when Goose insists on always being the hero. 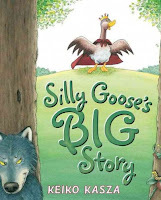 When Goose is caught by a wolf intent on having him for a snack, Goose must tell the biggest story of his life. He creates a story about Wem, short for "Wolf Eating Monster," in hopes of frightening Wolf into leaving him alone. When a scary Wem-like creature approaches, Wolf does leave Goose and run away. It turns out "Wem" is really the team of Goose's friends, working together to save Goose. Goose thanks them for being heroes instead of just playing heroes, and he begins a story about a silly goose with wonderful friends. I suppose my story time theme could almost have been "friendship"--this story is another great illustration of friends being there for one another. Closing Song: "If You're Happy and You Know It"
My library will be closed this Sunday for Mother's Day, but that doesn't mean we've been skimping on the mom-centered activities this week while the library is open! We've been making an attempt to hit all of our children's populations: in-house preschool story times, outreach story times, school-age craft programs, and take-home activities are several of the areas in which we've been encouraging kids to celebrate their moms. 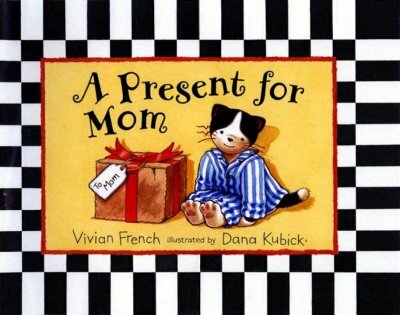 A great Mother's Day book I've been sharing during story times is Vivian French's picture book A Present for Mom. In the story, young Stanley has a hard time coming up with a Mother's Day gift on par with his siblings' bouquet of flowers, box of candy, and homemade cake. After all his initial ideas fail, he finally figures out the perfect gift: a box full of kisses! What mom wouldn't want a box full of kisses from her little one? This is a great story with tremendous versatility in terms of audience, telling, and programming. It works well as a read-aloud, but it would also translate well to a felt story. If you're inclined to include a craft with your story time, you can have kids decorate a box that they will fill with kisses for their own moms. Simple and meaningful! To engage young kids who come to the library but who don't necessarily come to programs, my library's May take-home activity is focused on Mother's Day. 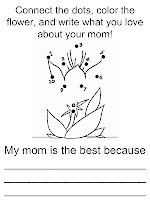 Kids have the opportunity to connect the dots to complete the flower, color the flower however they like, and write what they love about their moms on the lines. I'm big on early literacy activities, and this one works on multiple levels. The connect-the-dots exercise reinforces order and going from start to finish; the coloring gives an opportunity for asking questions about why a child colored the flower a certain way; and the writing activity encourages both the mechanics of writing (holding the writing implement) and the process (deciding what to say and how to say it). 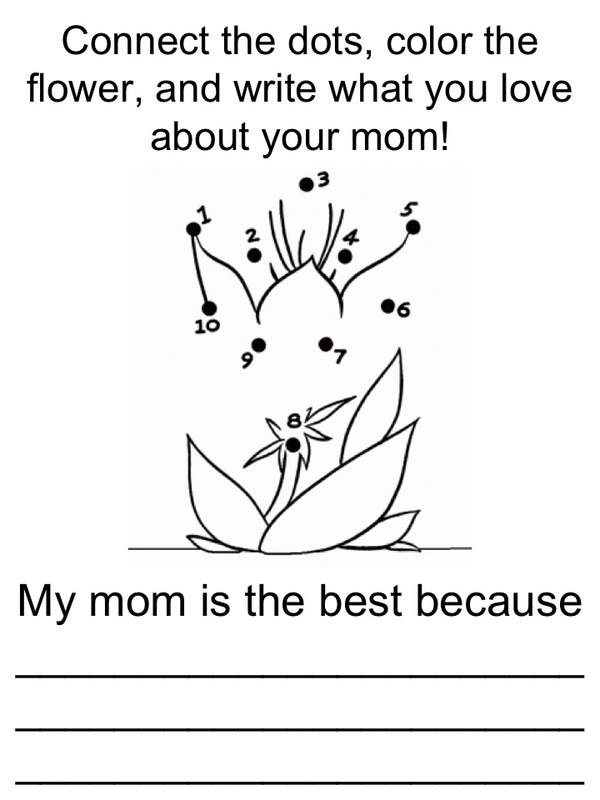 A celebration of mom and an early literacy exercise, all on one page. We didn't forget our school-age program-goers when planning our Mother's Day fun. Last week we had a "Make Your Own Paper Bouquet" program, where kids from kindergarten through the fifth grade created a variety of tissue paper flowers to arrange into their own bouquets. You can find all sorts of tissue paper flower craft instructions online (note: some are simpler than others! ), and after a short step-by-step explanation of how each flower is constructed, most kids are content to get to work on their own. There were some gorgeous bouquets leaving my library that evening! How is your library celebrating moms this Mother's Day? It should come as no surprise to library folks who work with children that kids enjoy all sorts of activities that extend the books they love. Whether they get to search the library for Dr. Suess hats, take home a Curious George bookmark, play on the Thomas train table, or draw a picture inspired by a favorite book, kids LOVE to interact with their favorite stories in new ways. It can be tons of fun to bring favorite book characters into the library--think costumed Max and Ruby or Clifford--and these programs usually draw tons of young book enthusiasts. But what about bringing in the creative forces behind these favorite books? Yep, I'm talking about author visits. After only one month at my current library, I was fortunate to be able to put on an author visit program with Peter Brown, author/illustrator of Children Make Terrible Pets fame (as well as a handful of other terrific, kid-loved books). Brown's book are aimed at preschoolers, and you might wonder, How engaged are preschoolers going to be in a program where a guy is talking to them about books? I am happy to say that even very young readers find exploring the behind-the-scenes workings of books fascinating. Brown put on a great program for my library--he talked about how he got started drawing books when he was a kid not much older than his audience, and he shared some great early artwork to illustrate his points. He was funny, he was aware of the attention span of his audience, and he patiently answered questions from kids about his own artwork and about theirs. Brown drew us a picture before the presentation ended, and as the kids got the chance to approach him and have their books signed, it was clear that they considered him a new friend. What had previously been just a good book to read was suddenly so much more personal and nuanced. I know the guy who made that book! He's funny! I can start to make books, too! This weekend I attended a similar author event at another library in my district. Ashley Wolff, illustrator and author of a whole slew of books including the well-love Miss Bindergarten series, really engaged her young audience with examples of her early artwork and her simple explanations of how she uses the people she knows--family, friends--as models for her characters. She asked how many kids consider themselves good artists (every hand shot up! ), and she talked about the passion, practice, patience, and perseverance that go into becoming an even better artist. Wolff talked for a nice chunk of time, but not once did those kids get fidgety or bored. Kids love seeing how their favorite stories come to be. And perhaps more than anything else, they love the feeling of personal connection to books that is a result of a good author program. I won't be the least bit surprised if the kids from my library who attended will be bringing me their own book illustrations in the next week or two. A good author visit is that exciting and inspiring. What about at your library? Have you embraced author visits? How have they gone, and how were they received by your kids? 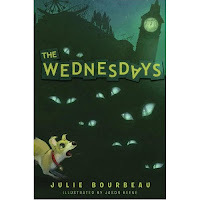 The Wednesdays, written by Julie Bourbeau with illustrations from Jason Beene, tells the story of Max, whose village is completely normal--except on Wednesdays. Every week when Wednesday rolls around, all the village residents close their shops, lock their doors and windows, and stay inside all day. Those who don't, those few who venture into the Wednesday madness, experience odd little mischiefs like having their pants pulled down, tripping over seemingly nothing, and finding all manner of devices and machines don't work as they should. Wednesdays, frankly, are weird. When Max ventures out one Wednesday, however, he goes in search of the creatures that wreak so much havoc--called, easily enough, wednesdays. He finds them, and while at first he finds their pranks harmless and funny, he begins to see a crueler side of many of the older wednesdays. When he starts to turn into one of them, he worries. Could he be destined for a life of spreading mean mischief in his village once a week? It's up to Max and a few of his friends to navigate the paranormal happenings in their town and to save Max from permanently becoming a wednesday. 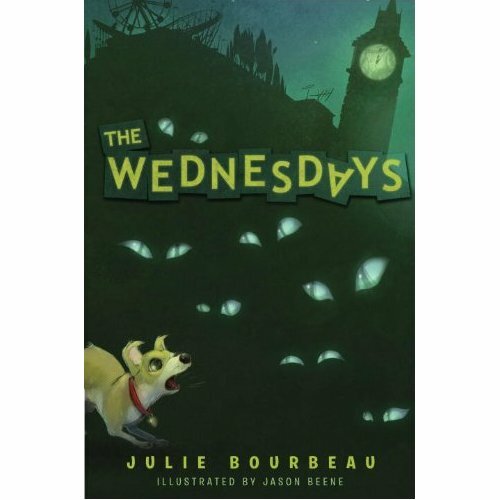 The Wednesdays has a premise that many young readers will find interesting, and the confusion and suspense get more weight as we follow along with Max as he experiences his change toward one of the wednesday creatures. The book has some funny characters and funny passages, but it gets sneakily moralistic, too; as Max ponders the merits of mischief for mischief's sake, he starts to consider just how much one person's actions can influence others. The story is strange, sure, but it is solid, moves at a quick, thrilling pace, and boasts strong young characters. I will recommend this book to young readers, in particular male readers, with a penchant for odd stories or who are looking to relate to a character who feels a bit different from everyone else. The Wednesdays will be released by Alfred A. Knopf Books for Young Readers on August 14, 2012.